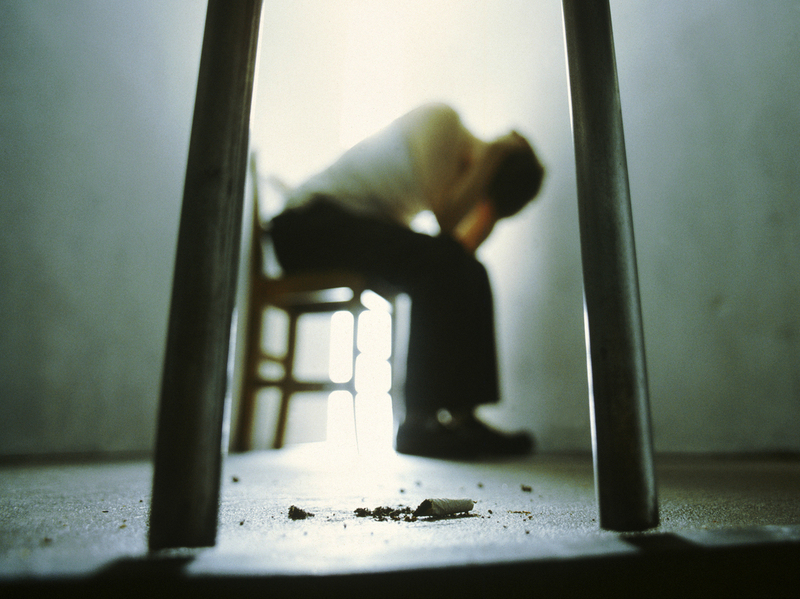 What To Do With California's Mentally Ill Defendants? : Shots - Health News Jail is too dangerous for many defendants found incompetent to stand trial because of illnesses like schizophrenia, judges say. But psychiatric hospitals are now overcrowded and violent, too. Mentally ill prisoners too impaired to stand trial are supposed to be transferred to state mental hospitals for treatment within two or three months. But more than 300 in California are languishing in county jails because hospitals don't have the beds. In 2010, Rodney Bock was arrested for carrying a loaded gun into a restaurant in Yuba City, Calif., north of Sacramento. Bock had severe mental illness and was later found incompetent to stand trial. He was released on bail, but was rearrested after he failed to appear at a court hearing. Bock, 56, was placed in the Sutter County jail, awaiting transfer to a state hospital. While there, he began suffering hallucinations. After more than two weeks in jail, Bock hanged himself. Mentally ill defendants like Bock, who are declared incompetent to stand trial, are supposed to be transferred to state mental hospitals for treatment within two or three months. But more than 300 of them throughout California are languishing in county jails because there's simply no bed space. Bock's daughters are now plaintiffs in a lawsuit filed by the American Civil Liberties Union, charging two state agencies, including the Department of State Hospitals, with denying mentally ill inmates their right to due process — and the treatment they need. "Jail is simply too dangerous a place for these most vulnerable defendants," said Micaela Davis, lead attorney in the lawsuit. "We have inmates that are waiting eight, nine months and sometimes over a year before being transferred to a facility for treatment." California's new state budget includes more than $17 million to add beds for defendants declared incompetent to stand trial. But not everyone agrees that's the best approach. Stephen Manley is a mental health court judge in Santa Clara County. His court helps defendants struggling with severe mental illnesses, including bipolar disorder or schizophrenia, find alternatives to incarceration. Manley doesn't want more psychiatric hospital beds; he wants to reserve state hospitals for the most violent defendants. "We send far too many people to state hospitals who do not pose a risk to public safety," he says, "because we don't work with them to figure out if there isn't a local alternative." Manley believes the psychiatric hospitals are already overcrowded — and understaffed. "As long as we keep overcrowding the hospitals, all we do is feed the fire," he says, referring to violence within the hospitals. Last year alone, there were more than 1,800 physical assaults at Napa State Hospital, a psychiatric institution in the heart of Northern California's wine country. More than 80 percent of the patients there have been referred by the criminal justice system, and hospital officials say patients who are there to have their sanity restored for trial inflict the most serious injuries. Ryan Navarre, with the organization representing Napa Hospital police, says that even officers are at risk. He recalls one patient specifically who put rocks into his socks and then spun them around "violently," he says. Throughout California, state psychiatric hospitals are working to find a balance between treatment and security for patients and staff. Meanwhile, Manley thinks the best solution for nonviolent offenders is to create more community-based treatment facilities. "If we add another 500 beds – and people — to a state hospital, all we do is make the problem worse," he says. But funding is already inadequate for mental health treatment. And creating more community-based programs raises new challenges — including resistance from neighbors who don't really want to live near facilities whose clients are mentally ill criminal defendants. This post was produced by KQED's State of Health blog.